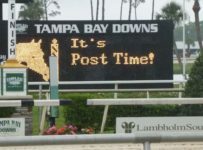 Gulfstream Park will have live racing on Sunday, Christmas Eve, with ten races and first post of 12:00 p.m.
Tampa Bay Downs does not have live racing on Sunday, Christmas Eve. 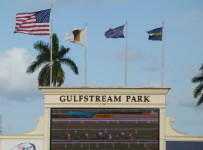 Neither Florida track has live racing on Monday, Christmas Day. 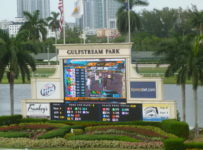 According to Equibase, 21 U.S. thoroughbred tracks are currently holding race meets. 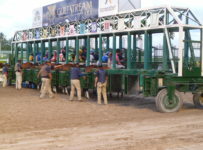 Of those, only Gulfstream and Sunland Park in New Mexico have live racing on Christmas Eve. 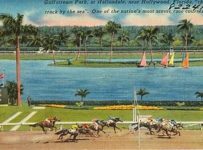 No U.S. thoroughbred tracks have racing on Christmas Day this year—continuing a long tradition. 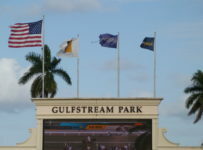 Gulfstream added December to its live racing calendar in 2011. 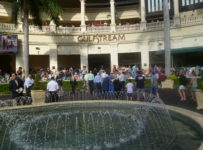 The only previous year it has held racing on Christmas Eve was 2011 when Dec. 24 was a Saturday. 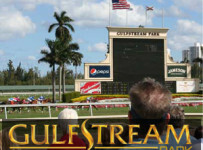 Gulfstream has never held live racing on Christmas Day. 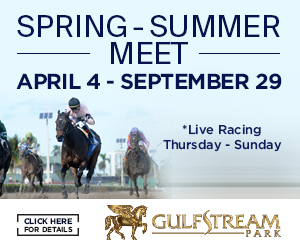 Gulfstream’s regular racing schedule is Wednesdays through Sundays. 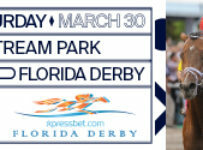 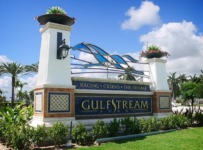 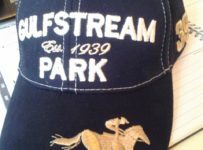 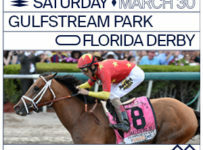 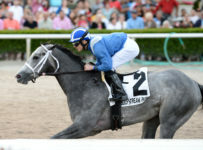 Details including first posts and days/hours for simulcasts, poker and Gulfstream’s casino may be found on the tracks’ websites http://www.gulfstreampark.com/ and http://www.tampabaydowns.com/. 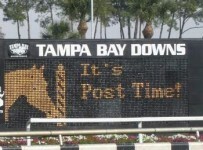 Tampa Bay’s regular live racing schedule is Wednesdays, Fridays, Saturdays and Sundays.